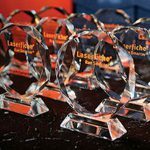 Laserfiche has announced the winners of its annual Run Smarter® Awards program, including three financial services institutions. Heim-Young & Associates, a financial advisory firm based in Missouri, implemented Laserfiche to improve client service and employee satisfaction. Today, Laserfiche enables the firm to process information 50 – 70% faster and respond to audit requests in a fraction of the time it used to take. Intercontinental Trust, licensed by the Mauritius Financial Services Commission to provide a comprehensive range of financial and fiduciary services to international businesses, uses Laserfiche to improve the customer experience by giving employees fast access to information and the ability to provide clients with on-demand status updates about their investments. 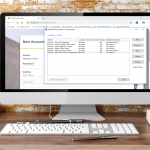 Mitsui Sumitomo Marine Management (U.S.A) Inc. (“MSMM”), the Manager for three U.S. commercial property and casualty insurers, will use Laserfiche to automate a variety of its Human Resources Department processes, including employee on-boarding, termination and promotion. Additionally, in an effort to stem the influx of paper documents, MSMM plans to use Laserfiche to scan and deliver to its employees most of its incoming paper mail.